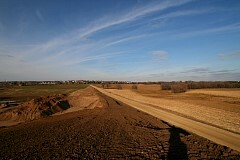 The farmer working Field #9 has run a plow across this field to prepare it for next year's planting. This guy never rotates crops, he always plants corn. 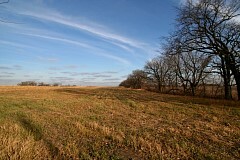 This leaves him susceptible to pests like corn borers to gain a foothold, but he must figure since this land will soon be a housing development anyway, he'll take the risk. 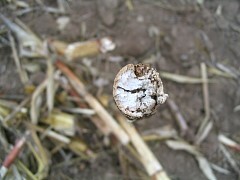 Here is the cross section of a corn stalk. 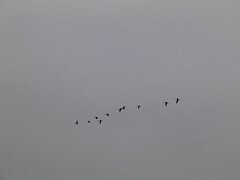 Geese - they should be nervous, since its open season on them right now. 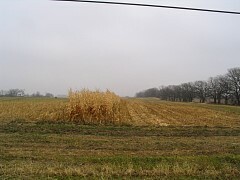 It's always mysterious to me why farmers leave a strip of corn standing. 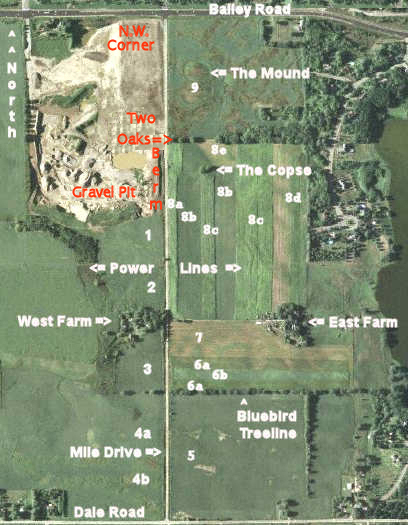 Sometimes it's left for hunters, sometimes for wildlife, and sometimes as a windbreak. But sometimes I think it's whimsey. 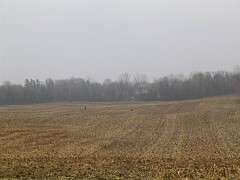 A goose hunter and his dog walk across Field #9. 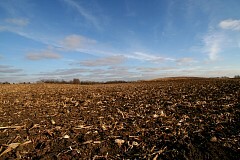 Low-angle shot of Field #9 showing The Mound. 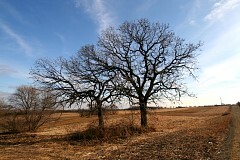 The pair of trees comprising Two Oaks is now bare. 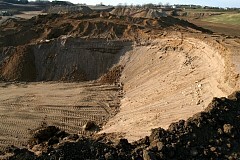 The gravel pit crew is now working this end of the pit. The whole landscape is turning brown. This soybean escaped harvest - note the fine hairs that cover the bean. 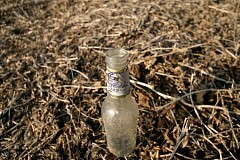 Lots of bottles and cans are tossed out along the side of the road. 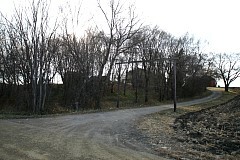 The buildings of the West Farm can be seen now that the leaves are down. 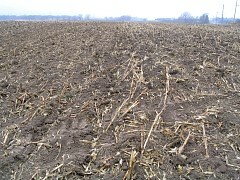 The elderly farmer has come along and taken out that last few rows of corn in Field #5. 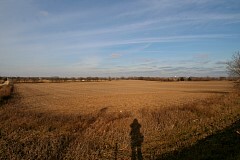 I cast my shadow on the expanse of Field #5.